Classical music evokes for everyone and erroneously a chic and refined universe. By marketing projects like Carmina Burana in 2001 and Ram Dam in 2002, EMI revealed to a large audience strong and new emotions. 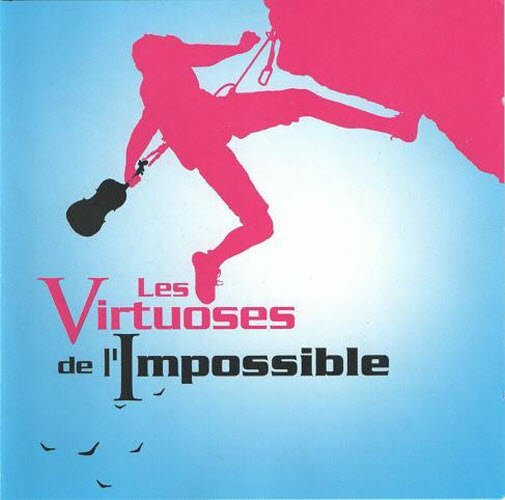 The Classical Elections in 2007 and the Opera Elections in 2008 showed that the consumer can react positively and in mass to a classic compilation, provided that it is presented in a modern, original and relevant way, without taking too much seriously. 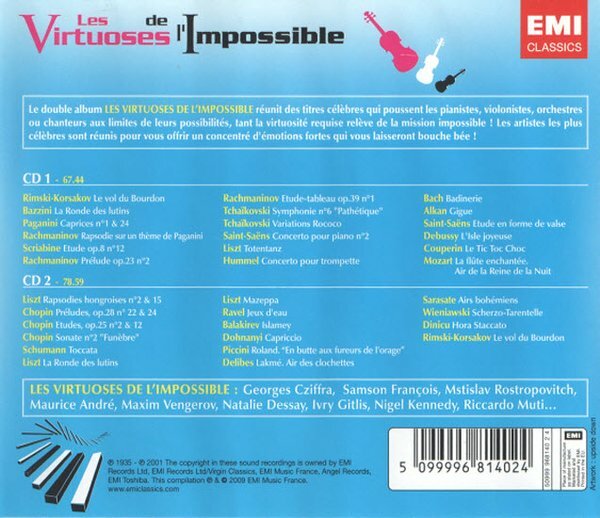 Today, EMI proposes the double album LES VIRTUOSES DE L'IMPOSSIBLE, which will leave you speechless! For the first time, famous pieces that bring artists to the limits of their possibilities have been assembled, the virtuosity and the energy demanded belong to the impossible mission!